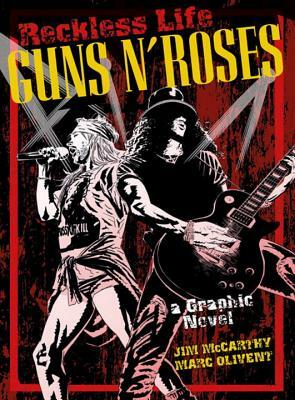 In this spectacular new graphic biography, Marc Olivent's stunning artwork and Jim McCarthy's incisive script perfectly capture the rollercoaster tale of Axl Rose, Slash, Izzy Stradlin, Duff McKagan, Steve Adler and the many others who have passed through the Guns 'n' Roses story. And it's all here: the feud between Axl and Kurt Cobain, the riots during concerts, the acrimonious departure of Slash from the band, the inevitable drugs and groupies and, of course, the music. Jim McCarthy s career in publishing began with "2000AD" and work on "Bad Company, Bix Barton, The Grudgefather, Kyd Cyborg" and "Judge Dredd." Marc Olivent is the artist of Dark Satanic Mills for Walker Books (on which he worked with 'Watchmen' artist John Higgins) and Samaritan for Mythos Publications. He works freelance from Lincoln in the UK."